A certified nursing assistant provides basic nursing skills and assist residents/patients with personal tasks under the supervision of a licensed nurse or physician. They assist patients with bathing, dressing, and eating, make beds, deliver messages, monitor vital signs, set up medical equipment, and observe patients for changes in their physical, mental and emotional conditions. The profession is physically and emotionally demanding. 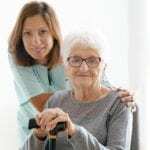 CNAs spend long hours on their feet and must have the physical capacity to move patients from the bed to wheelchair or reposition them in the bed without assistance. To succeed in the profession, you must be caring and compassionate and have a genuine desire to help others. According to the Bureau of Labor Statistics, employment of nursing assistants is projected to grow about 17 percent between 2014 and 2024. The hourly wage for CNAs is an estimated $12.78 per hour or $26,590 per year according to the 2016 Occupational Outlook Handbook. The affordable Certified Nursing Assistant program at Pasco Medical Training prepares students for success on the Certified Nursing Aide Competency Exam. The facility’s commitment to providing the best quality training is evident from the high pass rate. The curriculum covers classroom theory that goes hand-in-hand with practical experiences in a simulated lab. Students will also develop clinical skills during a supervised clinical at a long-term care facility. Areas of study include anatomy and physiology, nutrition, range of motion, infection control, vital signs, mental health, patient rights and independence, rehabilitation and restorative techniques and much more. Upon completion of the program, students will have the confidence to work in rehab centers, nursing homes, hospital, clinics, assisted living facilities, home health, and physicians’ offices. Applicants may be required to complete immunization, TB test, a physical exam, and a criminal background check. Tuition for the program costs $349 and includes CPR and First Aid. A-1 Healthcare Academy’s CNA test prep ensures students gain all the skills needed to pass the Florida Board of Nursing CNA exam. Experienced instructors will cover the 21 clinical skills to prepare students for success on the clinical skills component of the state exam. They also cover essential knowledge and competencies that are vital to success on the job. Students will get answers to burning questions and will gain the confidence to assume employment as a nurse assistant – even without previous experience in healthcare. The cost of training includes clinical supplies, a workbook for success on the written portion of the exam, and a 21 skills worksheet packet. Graduates can attend refresher courses free for up to four months. Upon completion of the program, students have the option to take the test at AHA’s facility. 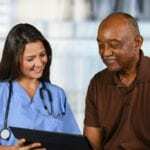 Pasco-Hernando State College provides nurse assistant students will the knowledge and skills to assume entry-level employment in acute and long-term care settings. Students receive a Certificate of Completion that confirms their eligibility to take the State of Florida Certified Nursing Assistant exam and practice as a CNA in a health care facility. The curriculum contains classroom and clinical components that can be completed in one semester or less. It includes 80 clock hours of theory and lab practice and 40 clock hours of clinical externship. Course content includes the role and responsibility of a nurse aide, legal and ethical aspects of practice, personal care, basic nursing skills, infection control, range of motion, vital signs, bed-making skills, mental health, Alzheimer’s care, rehabilitation techniques, fluid intake and output, and nutrition. Students do not need to take a TABE test. Students must meet the special requirements, including a physical exam report, CPR certification, AIDS training (4-hour seminar), a grade of C or higher in each program course, and a grade of “pass” on the Nursing Assistant Clinical. In-state tuition costs $352. Out-of-state students will pay $1,409. Additional costs for books, fees, supplies, lab fees, and uniform applies. The patient care technician program at F.K.Marchan Technical College prepares students for employment as advanced nursing assistants. They are capable of functioning beyond the role of nursing assistants. The curriculum features a sequence of courses that equip students with the skills and technical knowledge to prepare for further education in healthcare. It covers topics such as community issues, health and safety, labor issues, planning, environmental issues, and management. Applicants must be 18 years or older, have a high school diploma or GED, complete PCS fingerprinting, and complete a physical exam and TB skin test or chest x-ray. To successfully complete the program, students must earn a minimum score of 10 on TABE Math, Language, and Reading. Graduates are eligible for certification as a certified nursing assistant, phlebotomy tech, patient care technician, ECG aide, and medical administrative assistant. The curriculum covers 600 hours in 18 weeks. Tuition, fees, and supplies cost $3,026. Students are required to pay for fingerprinting, TB test and physical exam, drug screening, medical instruments, and scrubs.